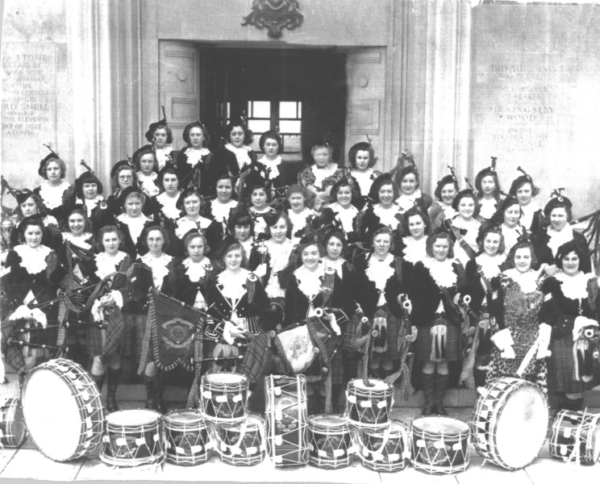 When the Dagenham Girl Pipers were established in October 1930, no one could have dreamt that the band would turn into a world-wide sensation. The Dagenham Girl Pipers outside the Civic Centre in Dagenham. It all began on a cold October morning, in the makeshift hut of the nearby unfinished Congregational Church in the Borough of Dagenham. A small group of young girls, selected from the Sunday School by Reverend Joseph Waddington Graves, gathered and had their first practice of the bagpipes. It took determination and dedication from the teachers and the Sunday school girls alike, but after two years of practice they had formed the first all female piping band outside of Scotland. After their first local appearances, they began to gather more demand as the press found out about this new phenomenon. The Dagenham Girl Pipers in Brussels with the Major of Liege. 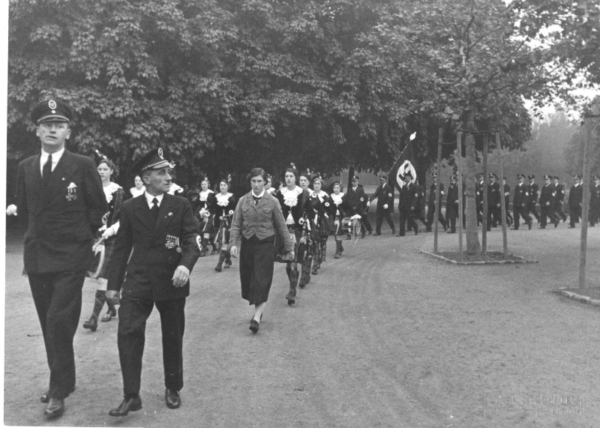 The Dagenham Girl Pipers on their march near the Chancellor’s Palace in Berlin. Reportedly, The Dagenham Girl Pipers were a big hit with Hitler. On their tour of Germany in 1937, Hitler attended one of their performances and thoroughly enjoyed it. When the band marched the following day, Hitler made sure he was there to listen to them play. 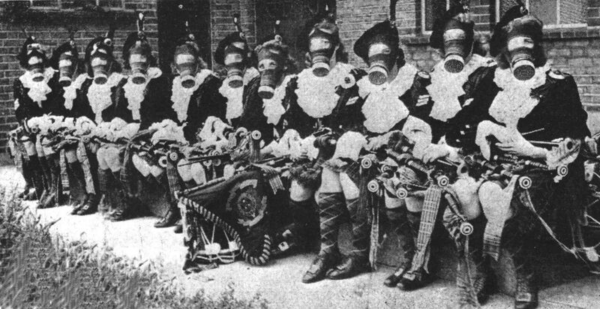 During the war the Dagenham Girl Pipers survived. Most remained in England and served their country, whether that be on the Home Front and the ENSA (Entertainments National Service Association) with the Band or on their own in the Armed Services. Other more senior members remained in America, to do performances, including one for the President’s wife, first lady Eleanor Roosevelt. In the years following the war, the Dagenham Girl Pipers grew in popularity. In the 1950s the band was particularly busy as they toured much of the world. They performed in places such as Holland (1955 and 1957), Brussels (1958), Australia (1954), Paris (1956), Canada (1958), and the USA (1958). In 1957, the band travelled to Holland, where they spent 7 months travelling and doing performances, including their participation in the ‘Circus Strasburg’. During the Dagenham Girl Piper’s ‘Harlem Globe Trotters Tour’ of 1958, in America alone they visited nineteen cities in a mere twenty days. 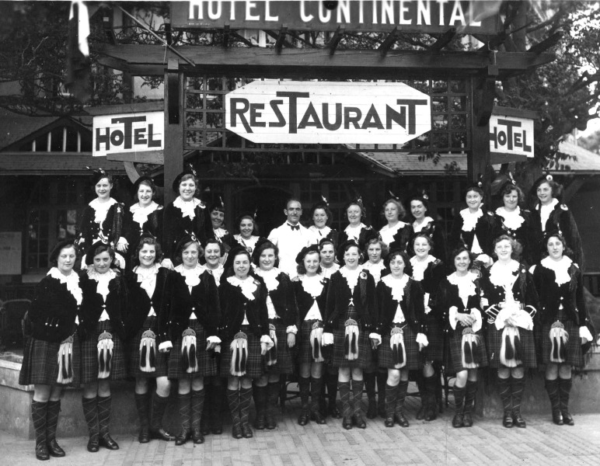 By the time the Dagenham Girl Pipers had their thirtieth celebration of the Band, they had travelled to all five continents and performed in over 45 different countries. The Dagenham Girl Pipers had gone all over the world,including venturing to Egypt and West Africa, where they had never heard the bagpipes before. The Dagenham Girl Pipers had gone from a small Sunday school in Dagenham, preforming to their parents and peers, to a world-wide sensation, known globally. Over the years, the Dagenham Girl Pipers became a symbol of classic British entertainment.